Cellar Key offers insider access to distinguished wines and wineries from around the globe. Take a video tour of the winery, read accolades, meet the winemaker, and explore food and wine pairings directly from your smartphone. 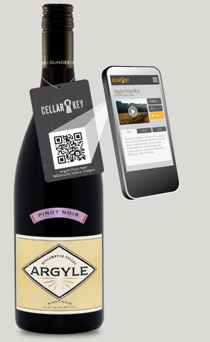 *The Cellar Key 2D code is a 2 dimensional QR (Quick Response) barcode loaded with rich content that can be accessed with any cell phone with a camera and web access.